Heather Krakora has been telling other’s stories through graphic design, art and photography for over 20 years. Beginning 5 years ago, Heather’s life transitioned into something unrecognizable. Somewhere in-between a personal health crisis, her son's abuse at school and her mother's death she discovered the power of creative self-care as a powerful way to help her move through her grief. This period of awakening helped Heather to realize that to achieve true and effective change for ... See More her entire family, that they needed to start their lives fresh. In July of 2017, they sold most of what they owned and relocated from Madison, Wisconsin to Berkeley, California. 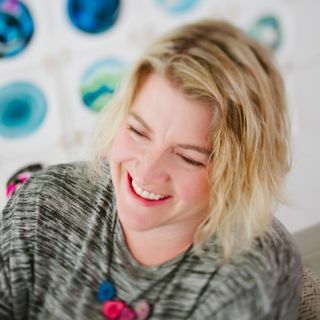 Heather’s work as a Creative Life Catalyst is dedicated to guiding others on how to use a creative practice to help themselves through life’s major transitions. During this process, her clients acknowledge their grief and then rise in their resilience.